SrIvaishNava sampradhAyam is a very vast ocean of auspicious aspects. 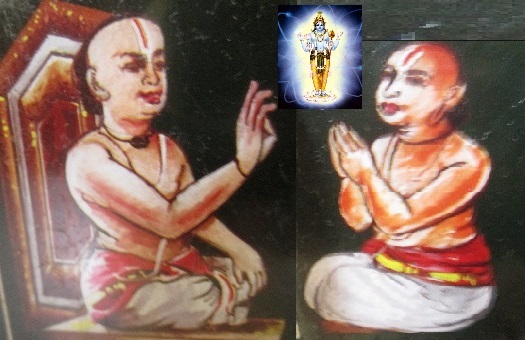 This sampradhAyam was initiated by SrIman nArAyaNan himself and subsequently propagated by AzhwArs and AchAryas. Our sath sampradhAyam is built on the principles of ubhaya vEdhAntham, viz., samskritha and dhrAvida vEdhAntham. The lives and instructions of our AchAryas play a vital role in understanding the principles and conduct ourselves in this path. This is an attempt to present such essential and fundamental principles in a very simple manner in a series of articles. Let us see them one by one. First, it is important to have a good grasp of the terms that are commonly used in sampradhAyam literature. So, we shall start with the reader's guide which lists such terms with some basic explanations. very excellent team work by sri sarathy thidadri& team members.-All uploads are great anubhavams.this sampradaya vishayam will, I am sure convey deep Arthams in simplified language. wish the team all the best& emperuman's krupai all through. VERY MARVELLOUS AND EXCELLENT KEEP IT UP.